Wedge-shaped car designs have been falling out of fashion for a while, but nobody seems to have told Nissan. 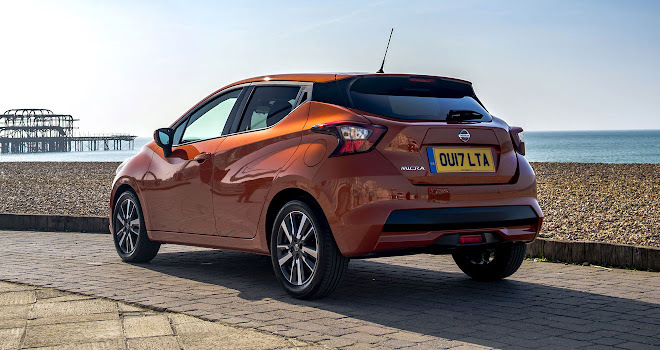 It has come up with a striking, angular design for the latest Micra supermini that looks arresting from almost every angle. The car’s sharp lines are countered by curvaceous flanks, featuring a swooping crease that flows down onto the sides from the bonnet. The eye-catching crease helps to give the car a more balanced profile. Without it, the Micra would look like a hungry anteater, snuffling at the ground in front of it. Disguised rear door handles give the Micra a false three-door look, which is odd given that it’s only available as a five door hatchback. I’m not a fan of hidden door handles (you end up having to point out to passengers that there are doors at the back) but it’s a design quirk that seems to be increasingly popular. Whether you like the styling or not, it would be hard to argue that the new design is not an immense improvement on the previous Micra. Released to a perplexed world in 2010, the old Micra was thoroughly facelifted in 2013 but was still too small, ugly and uncomfortable to compare with strong-selling rivals like the Renault Clio. The new car fixes almost all of the shortcomings of the previous Micra. 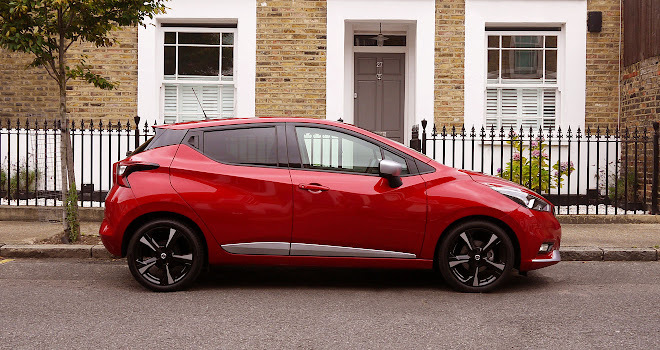 The one major gripe that carries over is an uncomfortable ride, though the 17-inch alloys bolted to the top-spec Tekna-grade Micra I tried might be partly to blame. Trundle over a pebble and you’ll know about it. However the upside is a sporty feel on country roads, and steering that reacts keenly to your efforts at the wheel. Contributions to the handling are also made by a couple of clever electronic systems – Intelligent Ride Control, which judiciously dabs the brakes to curtail bouncing over bumps, and Intelligent Trace Control, which corrects the car’s line through bends by braking diagonally opposite wheels, adding or subtracting from the car’s tendency to swing in a particular direction if the car starts to drift. The interior is much roomier than before and several streets ahead of the old Micra in terms of design and material quality. 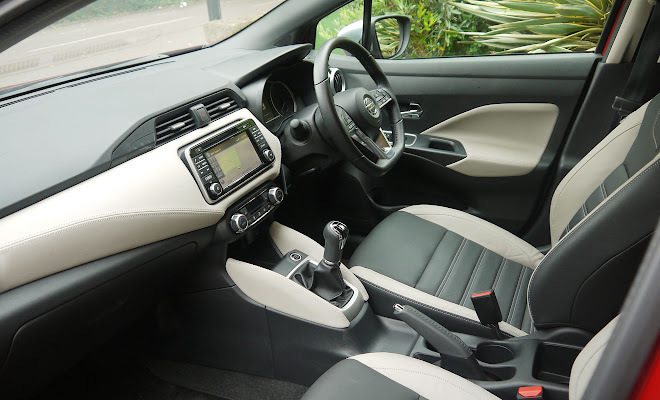 The top-spec Tekna trim level I tried includes an appealing stitched leatherette dashboard panel, soft to the touch, as well as matching kneepads either side of the centre console, giving off some reasonably convincing upmarket signals. 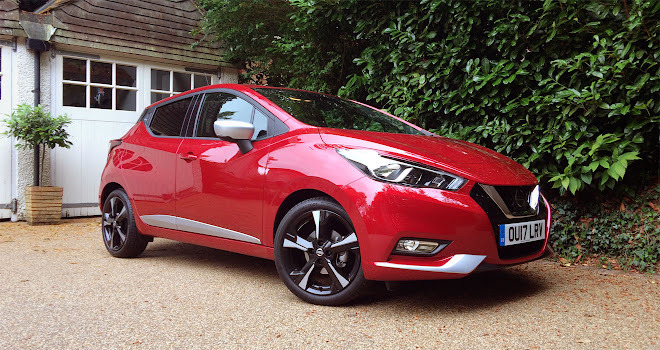 Indeed Nissan has shared significant parts with some of its larger models to try to lift quality – the central seven-inch touchscreen fitted to all models above the base Visia grade is virtually identical to the one you’d find in a Qashqai. Only the plastic surround and the various option buttons are different (and, surprisingly, a little bit nicer in the Micra if you ask me). 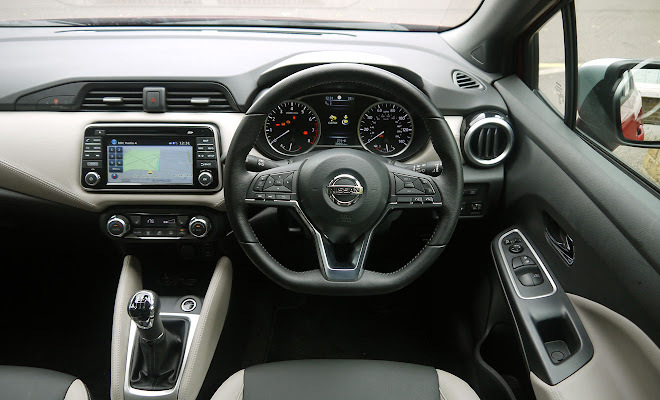 The steering wheel also looks very similar to the one fitted to the Qashqai following its recent facelift, with the same array of handy on-wheel buttons. You will need to choose at least the mid-range N-Connecta trim for the wheel to be wrapped in leather, however. All but the Visia-grade cars include a handy five-inch colour information screen between the instrument dials. 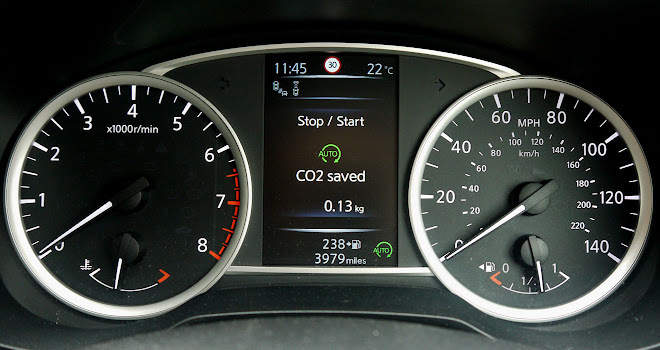 The display can be configured using the wheel buttons and helpfully displays the current speed limit, gleaned by a camera in the windscreen as you drive along. Smartphone app-integration comes included with the central touchscreen, while GPS navigation is added from the N-Connecta grade up, with junction diagrams handily repeated in the instrument panel. Nissan has also stuffed the new Micra with safety kit. In the UK, all models include an automated emergency braking system with pedestrian recognition and a lane-departure warning system that vibrates the wheel and applies differential braking to help guide the car back into its lane. These two features in particular raised the Micra from a four-star to a five-star rating under the Euro NCAP scheme. Less helpfully, the rakish exterior translates to a steeply slanted windscreen, leading to screen pillars that encroach a little more than I’d like into the view at junctions. That’s presumably one reason why some key rivals, such as the latest Kia Rio, have moved to a more upright screen with their recent redesigns. Perhaps as a result of those pillars, I found it quite difficult to judge where the extremities of the Micra might lie. I found myself worrying whether the little Nissan would fit through gaps that it probably would have sailed through. No doubt I’d grow more accustomed to the size of the car if I owned it. 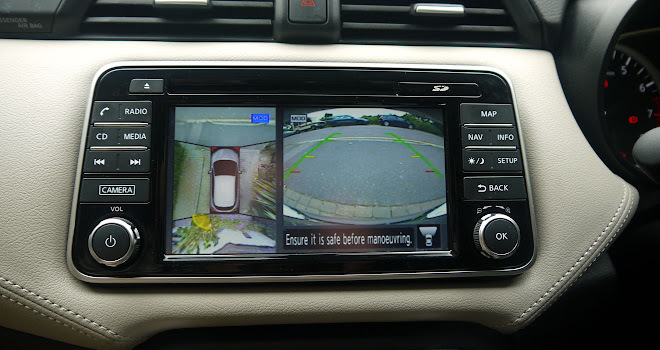 Failing that, there’s the £550 optional Vision+ pack, which includes parking sensors, a blind spot alert, moving object detection and Nissan’s Around View Monitor, which uses cameras to provide a 360° view of the car’s surroundings on the centre screen. Helpfully, warnings from the parking sensors are drawn in yellow, amber or red on the overhead view. At a millimetre under four metres from nose to tail the new Micra is a lot bigger than the old version, making it a much more competitive proposition against rival superminis. It’s almost exactly the same length as the latest Ford Fiesta, for example. 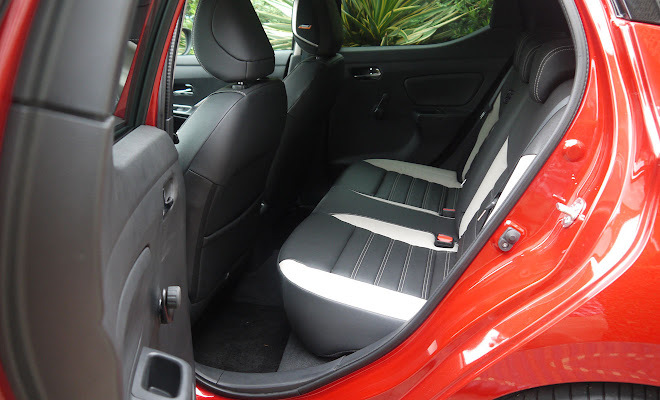 A longer wheelbase also helps the new Micra to provide a good balance between rear legroom and luggage space in the boot. There’s room for a spare wheel under the boot floor, even if the car I tried did without one. My test car came equipped with an IG-T 90 petrol engine, which is fitted with a reliable stop-start system and is rated at 104g/km in CO2 terms. The engine is a 0.9-litre, three-cylinder turbocharged unit producing 90 horsepower and 140Nm of torque. That’s enough to propel the car’s 1.1-tonne mass to 62mph in 12.1 seconds. The car can feel a little slow off the mark in first gear, but proves lively enough once up to speed. With a five-speed manual, it will overtake smoothly on motorways in top gear. It will also respond well if you try to drive economically. 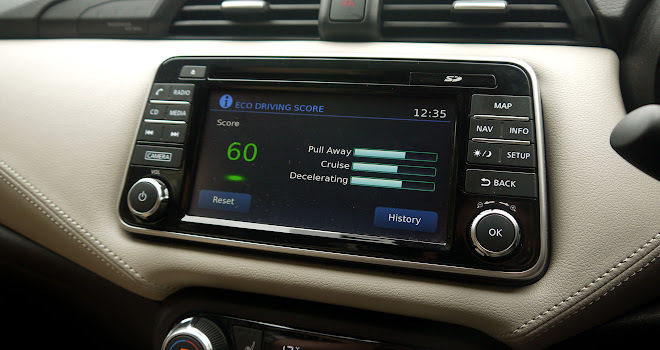 I achieved 52mpg during my week of tests – despite the car’s eco feedback screen giving my driving a score of only 60 out of 100. The pricelist for the new Micra starts at £11,995 for the most basic model, rising to £18,765 for a diesel-powered edition in the top Tekna trim, before options such as paint. The best buy is probably the N-Connecta version with the IG-T 90 petrol engine, which starts at £16,115.